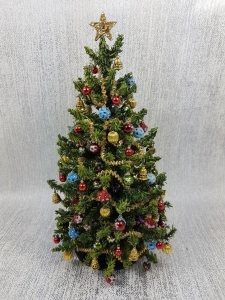 Home :: Seasonal Items :: 7.75" Luxury Christmas Tree in blue, red, green and gold. 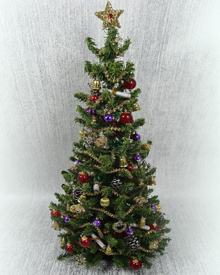 12th scale Luxury 7.75" Dollshouse Christmas Tree decorated in hundreds of handmade baubles that sway upon the slightest movement. 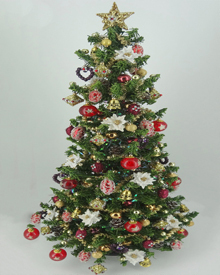 The baubles are in hues of blue, red and green, gold bells, gold baubles and topped off with a twinkly golden star. 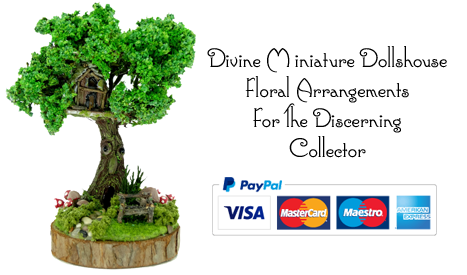 Notify me of updates to 7.75" Luxury Christmas Tree in blue, red, green and gold.